January 31, 2019 - The digital marketer's #1 daily briefing! We all may keep making innocent fun of Mark and its never ending issues but guess what, he had the last laugh, as far as yearly revenue numbers are concerned... There’s something more we can learn from The ‘Sensational’ Egg and the ‘Disastrous’ festival. And spicing it up with some actionable items for our ad campaigns. Read on! Facebook surprised everybody with the results from its annual financial report. But apart from that, they also addressed some other issues they are working on. Data issues, of course! Then, if you’re not using the Carpet Bombing strategy, we have some cool targeting tips you might find useful. Let’s begin by looking at the report. Yesterday, Facebook released its fourth-quarter and full year financial report for 2018. Surprisingly, despite all the troubles the Blue Giant went through, the results look very promising. The revenue numbers show 37% growth compared to 2017. Add given that most of the revenue is due to its advertising, Facebook looks very healthy. Even when considering an overall operating margin of 45%. (Income before taxes). Are you a FB shareholder? Your stock value grew by 40% in 2018. Happy? Sure you are! However, apart from these figures, there are other aspects to consider, especially when we are talking about such a big company. Mark Zuckerberg explained these aspects in a long post he shared over FB. And a big shoutout goes to Depesh Mandalia, for summarizing Mark’s post in a very to-the-point and easy to understand manner. Facebook internally changed two key things: the structure and the responsibility system. They’re working on social issues – to not allow bad players to manipulate political and world-changing events. Facebook is working to have a meaningful impact on our lives. Both monthly and daily active users increased by 9%. That’s really good news! No sarcasm this time. Mobile advertising revenue represented approximately 93% of its advertising revenue for the fourth quarter of 2018. Zoom Out: All these statements and figures look very delightful. Especially if this platform is a key part of your business. While the social network kept experiencing troubles, especially data related, it kept growing as a business. Its users are still active. And the advertising business is also growing. All the good news we wanted to hear. Moreover, they are putting an effort into growing Facebook Watch. That’s a new ad space we’ll be happy to utilize. If not, an increase in ad costs can be expected. Why? If advertisers grow, so will the media space. Else, it will cause a cost increase. And nobody here wants to pay higher CPMs, right? Unfortunately, FB Watch seems to be the only new space Mark is planning to develop this year. However, we expect other new updates over the year. As always, when talking about Facebook, after a piece of good news, there inevitably is not so good news to follow. But maybe, this isn’t that bad. It’s just Facebook trying to recover from yesterday’s fail. When the news about it paying people to share their data came out. The news went viral, and the first to react was Apple. They banned the Facebook Research app. The app used by FB to gather its users’ data. The iPhone company revoked the Enterprise Certificate that allowed Facebook to distribute the Research app without going through the App Store. But then Facebook decided to react to the scandal, saying they are ending this program immediately. Pre-empting a likely action by Apple. Even though Facebook pulled from the program, it stood by what it described as a perfectly legitimate market research tool. There was nothing ‘secret’ about this. So, why did they shut down the program? Well, maybe to maintain a good image. After all those good words posted by Mark, it was counterintuitive not to do so. What was wrong about it was that they distributed the app without going through the App Store. And the iOS company went mad. Or maybe, they just wanted to divert public opinion after that FaceTime bug fiasco? You have surely heard this name somewhere. Carpet Bombing. It’s a Facebook Ads strategy, used by many offline businesses, yet it can be used for online businesses too. If you want to discover what Carpet Bombing is all about, you can visit here. Anyway, digging into targeting tactics for this strategy, Chris Colvard shared many posts about it yesterday. Like, how to set up the targeting in different niches, when you are using Carpet Bombing. Restaurant and Bars: Pin every restaurant and bar within a 3 mile radius. Use Mobile as placement. To narrow the audience, have a look at the post shared here. Real Estate Listing: Pin your area. Again, to see how to narrow it down, see the post here. Gym Membership and work out enthusiast: Pin every gym in the area. Include all gyms available as an Interest in that area. Here is the post. Law – Personal Injury: Pin every Hospital & Clinic in your target area. Use Mobile as placement. Use 1-mile radius. More on the post here . Pet Owners: Here are all the interests and geos to target. Building micro audiences from competitors? Use short 5 second videos. Then retarget them with offers – works for restaurants, auto repair or any retail business. Check the post for targeting suggestions. One secret about all successful entrepreneurs is to stay humble. And having a mindset that you can learn something from everyone. Does everyone include eggs too? Well, if you are humble enough, it does! It’s not that we are crazy. It’s that there indeed is something we can learn from that EGG phenomenon. Probably something we can learn and apply to our businesses. Fashion brands, corporate companies, start-ups, media organizations are all clawing to catch even a minute of the attention on the internet. They spend huge resources to create content worthy of cutting through digital pollution. And yet, none of them could match The Egg. Why are we raving so much about Eugene the Egg? While this could sound really strange, there is some truth in it. The simplicity of an egg caught more attention than all the filtered, edited pictures we find online. In a world where everyone wants to look more beautiful, richer, more famous, more everything, being a simple egg caught great attention. Or maybe it’s just that everybody is out of their minds these days? The other big lesson you can learn from it is: no one is safe today. Whether you are a Kardashian or a huge brand, you’re not safe. Democracy reigns on the Internet. 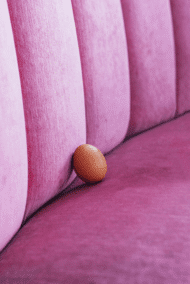 If an egg beat a world-famous celebrity, anyone can take over. All you need is some creativity! And an egg! Reddit announced the launch of their first ever performance-driven ad offering on its ad platform: The CPC (cost per click) ad. The new CPC ad units will allow advertisers to implement direct response campaigns across desktop and mobile. The ads will be delivered as either a link or Promoted Posts (video included). With this, Reddit now has a “complete suite of ad offerings”. 4 different campaign objectives including Reach, Video Views, Traffic and Conversions. 3 different bidding types to go with these campaign objectives including CPM, CPV and CPC. More ad inventories will be opened up with CPC bidding. Wayfair, Hired and Kabam are among a select group of brands that were given early access to their CPC ads. Reddit reports most advertisers in the beta group have improved ROAS by up to 50 percent. Reddit says its CPC ads are the first of its several upcoming performance offerings, with enhancements to ad targeting, reporting and campaign management tools to come. Google also using a data buying app. And Search ads now on YouTube. So yesterday, we reported about Facebook Research app which paid teenagers $20/month to sell their soul to Facebook. In this digital era, selling privacy is almost like selling your soul. Isn’t it? Well, it looks like Facebook isn’t the only one. Its digital counterpart, Google, has also been caught running a similar app called Screenwise Meter. It bears a strong resemblance to the Facebook Research App. A very similar app, similar teenage targeting and monetary-gratification tactics, and same type of policy violations. And both have been barred by Apple, with immediate effect. Running since 2012, this Google app offered gift cards to its users for sideloading an Enterprise Certificate-based VPN app that allows Google to monitor and analyze their traffic and data. Unlike Facebook, who took several hours to respond as backlash swelled, Google managed to get things sorted in a little under three. Google also moved quickly to cancel its iOS Screenwise Meter which might save it from further punishment on Apple’s platform. Moving on to the topic that we care more about. Advertising! Over the last few months, we brought you many new updates about Google’s Text Ads and YouTube Ads. This one is about both of them. Google Text Ads within YouTube search results. Which means YouTube is now part of Google Search Partners Network. This extension of Search Ads on YouTube comes after previous similar features such as location extensions and calls-to-action in TrueView for Action Ads showed promising results for Search advertising business. Want to reach out to your audience on YouTube using Search Ads? Just select “Search partner” under “Settings → Network”. And your text ads may appear on YouTube search results pages when users search for keywords relevant to your campaign on the video platform. Though, only on mobile devices for now. How are the results like? As per YouTube, text ads have, on average, performed comparably to Google Search on a cost-per-conversion basis. Well, it hasn’t been the kind of “Netflix and chill” week for anyone. Facebook, Google or even Apple. They have had a no-chill week. Even for us at WTAFF. We are having some small issues with our content formatting. But someone has had a chill-week while giving someone else a haunting recap of its ambitious yet disastrous past? We are talking about the Fyre Festival documentary which Netflix released. And since then, it has been astonishing users globally with the revelations behind the whole fiasco. If you have already watched it, you know what we mean, right? A grand, ambitious product launch, grandeur marketing efforts and disastrous execution. But if you haven’t watched it. Or are completely unaware of the level of catastrophe the festival resulted in. Just go through the Festival Pitch Deck as if you were invited to this festival. Now sit back, relax and watch this Netflix documentary as if you are actually going to attending the festival!